The use of the internet for teaching and learning has received overwhelming responses from academics over the recent years. 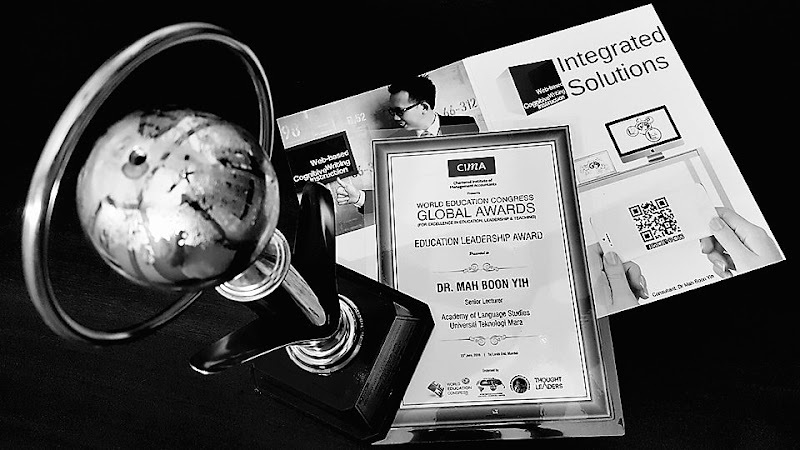 This infusion of digital and multimedia technologies into Malaysian ESL classrooms has considerably altered the ELT methodologies. Mastering English in the digital world is not only limited to knowing the syntactic, pragmatic, and lexical items of the language, but also knowing how to read, write, and communicate in electronic environments. In response to the impact of technology in English language teaching (ELT), limitations of the learning management system (LMS) in fostering second language (L2) writing skill, as well as needs of supplementary web-based instruction (WBI) in UiTM Penang Branch as reported in the past studies, a WBI namely Web-based Cognitive Writing Instruction (WeCWI) is thus proposed in this research. WeCWI is a theoretical and pedagogical framework applied into the design and development of a web-based instructional tool. This study applied a comparative systematic review focussing between the two salient alternatives of web versions, web 2.0 applications, web hosts, and on-screen web properties. A web 2.0 application, blog, hosted by Blogger was proposed to be used as the developing platform after comparing with their alternatives: Wordpress, wikis, and web 1.0. Besides, web widgets and hypertext were also analysed to be made available on the blogs as part of the user interface design. With the injection of Web widgets and hypertext into the blogs, WeCWI attempts to offer a technological enhanced ELT solution to overcome the poor writing skill among L2 learners.